Very Good. 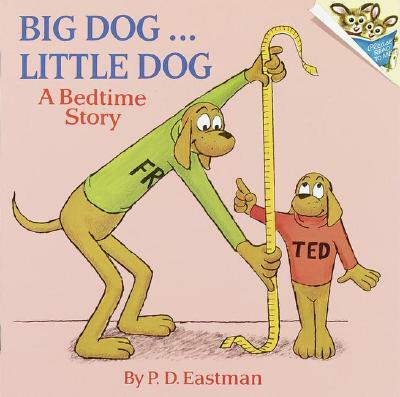 Big Dog...Little Dog: A Bedtime Story by P D Eastman, 1973-08-12. Trade paperback (US). Picture book. Glued binding. 32 p. Contains: Illustrations. Pictureback(r). Intended for a juvenile audience. Good. Big Dog...Little Dog: A Bedtime Story by P D Eastman, 1973-08-12. Trade paperback (US). Picture book. Glued binding. 32 p. Contains: Illustrations. Pictureback(r). Intended for a juvenile audience. Fine. 0394826698 Ships from Tennessee, usually the same or next day. Very Good. 0394826698 Ships from Tennessee, usually the same or next day.